Congrats on your engagement! Wedding Planning can be completely overwhelming, and throw a vegan menu into the mix and it could be even more frustrating…but it doesn’t have to be! Research, research and more research. I’ve done some for you to help you out. Luckily for all of us plant eaters, the world is becoming more accommodating to our plant based diets so your vegan wedding will most likely be a huge success. Here’s some advice for those cruelty free couples who are planning a vegan wedding. Number one most important piece of advice….remember that this is YOUR day. Don’t let anyone dictate what you should and shouldn’t serve at your wedding. If you’re vegan, have a vegan wedding if that is what your heart desires. You can totally show off to your family and friends that vegan food is so much more exciting than just tofu and salad! Do make sure you send the menu options with your invites so it’s not a total surprise on your big day. This way if guests are adamant about not eating veggies, they can make sure they show up well fed or know they’ll be eating once they leave the wedding. Make sure you offer a few options in case of allergy or aversions (ew, mushrooms!). 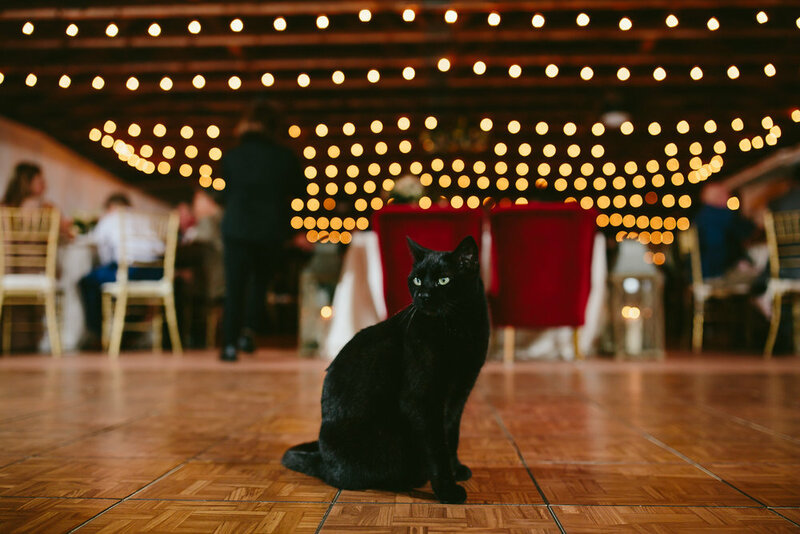 Include your animals in your wedding festivities! Get ready at home if you’re having your wedding locally and include your fur children in your getting ready process. Or if you have well behaved animals, include them in your wedding ceremony if the venue allows this sort of thing! If it doesn’t work out logistically, you can always incorporate animals into the decor as these couples did. If you really truly want wedding formals with your animals but they absolutely can not be there on your wedding day, add a “day after portrait session” in your wedding photography package so you can include your beloved fur children in your wedding memories! Vegan cuisine has come a long way in the last 10 years. so many mainstream restaurants are adding vegan options to their menus! What a time to be alive… and get married! My advice for catering is make sure you go with one that has catered a vegan wedding or event before. 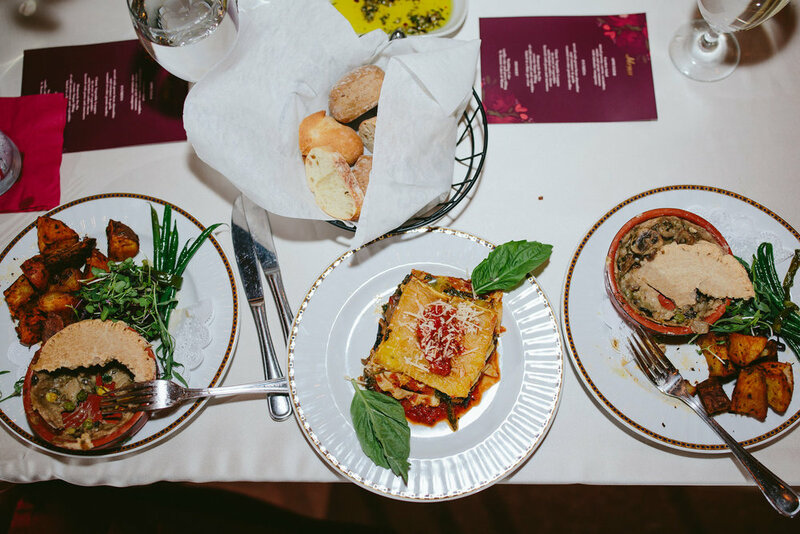 You don’t necessarily have to hire a 100% vegan caterer, however make sure they have a solid vegan menu and can accommodate your wedding wishes. Vegan bakeries are sprouting up all over the country. Here are a few well known bakeries that offer wedding cakes. Materials that are not vegan: silk, pearls, leather, fur, suede, feathers, wool, etc. These materials are vegan friendly: lace, sateen, chiffon, cotton, linen, taffeta, tulle, polyester, acrylic, and nylon. Silk is not vegan and finding silk free wedding attire (dresses and ties) can be kind of tricky. Opting to wear your mom (or other relative’s) wedding dress or renting a gown is also a great sustainable option. Choose dresses for the bridesmaids that they will be able to wear again, buy second hand or use something that they already own! Many wedding venues and hotels make their couples choose the house caterer or from their list of preferred vendors which more often than not, is NOT vegan friendly. When searching for your perfect wedding venue, make sure they allow outside caterers so you can choose the perfect wedding menu! Wineries, farms, animal sanctuaries, mountains, gardens, forests, and even tropical beaches can be the perfect backdrop to a vegan wedding. Allow your guests to connect with nature while enjoying your plant based party! You could also have the ceremony at your desired location and then throw the reception at your favorite vegan eatery. Instead of gifts you could always donate money to your favorite charity and include that information in your wedding programs! Use living plants as decor. Potted orchids can be sent home with your guests as gifts! Use items from home that you already have! Or purchase decor (vases, table elements, signage, linens) from a second hand store! There are also TONS of furniture rentals for wedding decor! Instead of confetti or sparklers for your exit, have your guests blow bubbles or toss lavender pieces. Use chalkboards for signage so you can reuse after the wedding. Use online save the dates and create a wedding website for your guests to send their RSVPs! Or use papers that are biodegradable or even plantable like from Botanical Paperworks. How cool is that?!?! Opt for a dried flower bouquet (as seen on etsy), paper bouquets (also on etsy) or try a florist that recycles flowers like Rebloom! 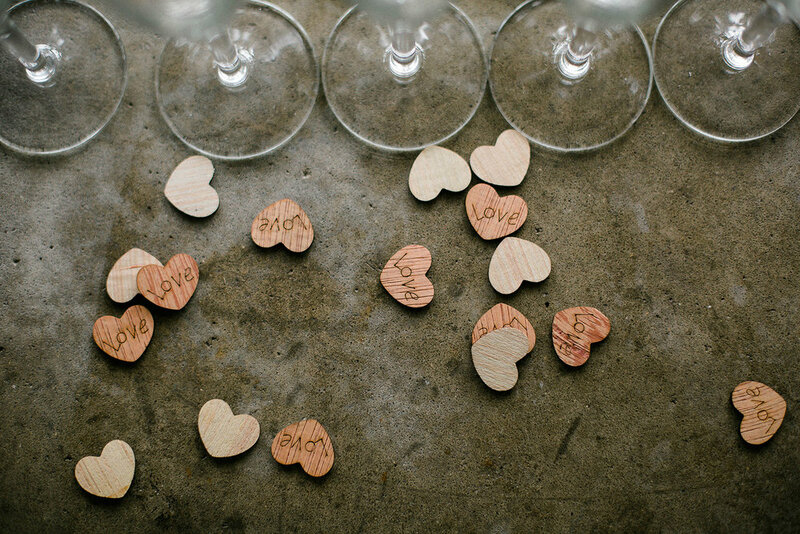 Wedding gifts for your guests should be edible or biodegradable and something that the guests can actually use. 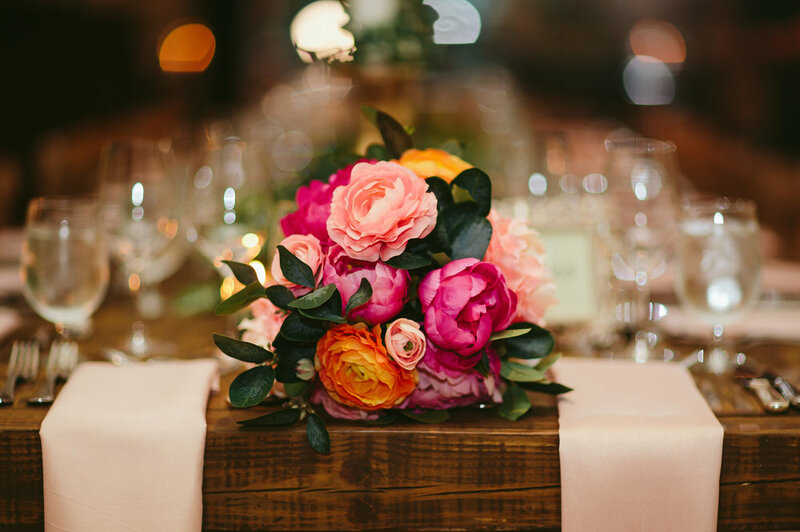 Or opt to let them take home the centerpieces! Coffee beans, homemade tea packets, biodegradable seed packets and craft beer were my favorite gifts that I’ve seen at weddings! I hope you’ve found this blog post useful in your quest to create the vegan wedding of your dreams! If you have personal experience with any additional products, services, or venues feel free to leave a link in the comments. Hope you have the best vegan wedding ever!